I have written three novels. They aren’t anywhere near finished, but they are as complete as first and second and third drafts can be. But it took me a long time to get to the point where I could actually write a complete novel. In fact, my first complete draft only happened because of NaNoWriMo. And let me tell you, it was a horrible draft. 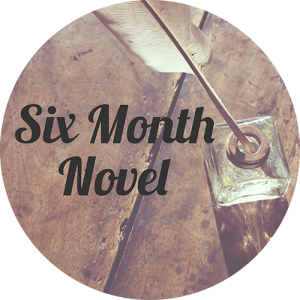 Now Charlie from Urban Writers’ Retreat and I have developed this program for writing a first draft in six months, the Six Month Novel. It’s our baby. Something created for writers by writers. It’s designed to keep writers motivated and accountable while feeling that they are part of a close-knit community of other writers–people going through the same thing. And we’re getting ready to start the first official program. I alternate between biting my nails and leaping and squealing. I’m so excited to work with new novelers. The test run over the last six months has turned out wonderfully and I can’t wait to meet new writers. But while I’m busy being bi-polar as I prepare for the start of the program, you are welcome to enter our contest to win a spot worth £950! You just need a 100 word synopsis of your new novel idea. The contest ends Sunday night 8pm UK time. And then next week we are having a free online training that anybody is welcome to. You can sign up for the newsletter on our website to get reminders about it. 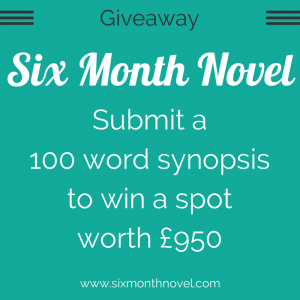 We’ll be chatting with you about how you can get a novel written in six months. We also have a free checklist so you can move ahead with your project. Then our applications for the program (which runs from October 6th to April 15th) open on Monday September 22nd. By signing up for the newsletter you will also get notice of when applications open.